A handy way under Linux is to use a "compose key" ([Alt Gr] on my setup), which allows you to compose accented characters by entering the accent (umlaut, accent grave, ...) and the unaccented character separately. 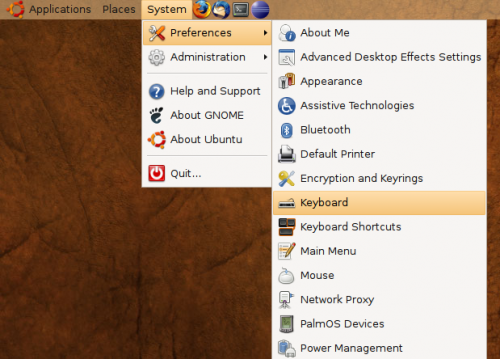 To enable this feature under Ubuntu Linux 8.04 (Gnome desktop) go to the keyboard preferences (Ubuntu menu > "Settings" > "Preferences" > "Keyboard"). Then, go to the tab "Layouts" and press the "Layout Options..." key at the bottom. 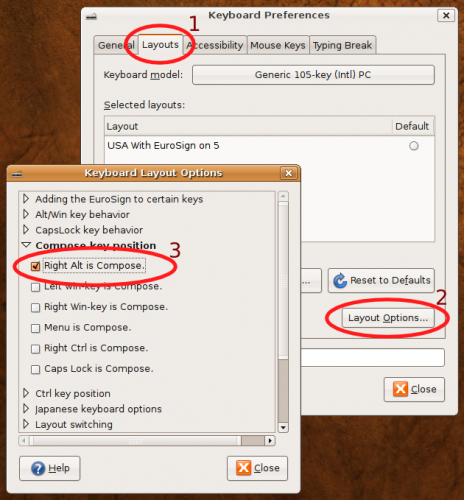 Under "Compose key position" you can enable the compose key of your liking (which is [Alt Gr] aka "Right Alt" for me). This is for Ubuntu 8.04, but other flavors of Linux or other window managers probably have very similar ways to configure the compose key.